Vi DAC's versatility is unmatched. It features five digital inputs: one USB, one TOSLINK, one AES/EBU, and two S/PDIF. It outputs your analog music in two different ways. First, it has two headphone outputs on the front panel. One 1/4? single-ended output, and one four pin XLR balanced output. Second, it outputs at line level through one pair of RCA single ended outs and one pair of XLR balanced outs. If you choose Vi DAC Tube, you'll get another pair of single-ended RCA outputs through the tube buffer stage. Additionally, if you choose the balanced tube output option, you'll get another pair of balanced XLR outputs. Vi DAC decodes PCM (the most common music format, the one used in your CDs and MP3s) with bit rates of 16, 24, and 32 bits, and samples rates of 44.1 kHz, 48kHz, 88.2 kHz, 96 kHz, 176.4 kHz, 192 kHz, 352.8 kHz, and 384 kHz. It also natively decodes DSD music files (a rapidly-growing digital download format that audiophiles tend to love), letting you choose between five different filter modes, with sample rates of 2.822 MHz, 3.072 MHz, 5.644 MHz, 6.144 MHz, 11.288 MHz, and 12.288 MHz. Vi DAC's design has always been to utilize ESS' Sabre 9018AQ2M DAC microchip for its digital to analog conversion. New for 2015, the 9018AQ2M, boasts even better harmonic distortion characteristics than its predecessor, as well as a lower noise floor and greater dynamic range. Vi DAC uses a fully balanced architecture throughout its entire circuit, which results in the best noise rejection possible, and is the most natural way to cancel distortion. In addition, it uses a dual mono design, implementing dual ESS Sabre DAC chips, a dual separated power supply and a dual analog output stage. Vi DAC's linear power supply employs 26 high quality regulators, making it among the quietest linear power in the industry. In addition, the power circuit is completely isolated from the digital and analog circuits, preventing mechanical noise from the transformer from entering the signal path. Vi DAC's chassis has been designed to damp vibrations within the chassis that could otherwise be converted into electrical noise. By making a design without parallel walls, standing waves don't build up in corners, making it less likely that noise will get into the circuit. This innovative design, based on our Da Vinci DAC's original chassis specification also creates enough internal volume to accommodate larger components such as capacitors and tubes. Optional Hybrid Solid-State/Tube Output Buffer - A DAC has two principal parts: the digital processing stage, and the analog output stage. 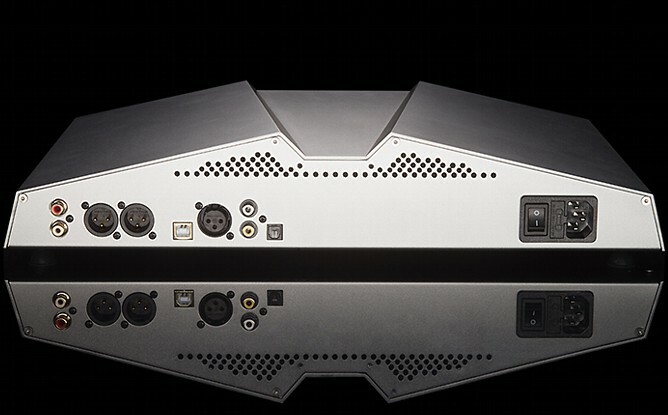 Vi DAC's digital stage utilizes an advanced, proprietary solid-state design first implemented in our Da Vinci DAC. The analog stage is where the magic happens. 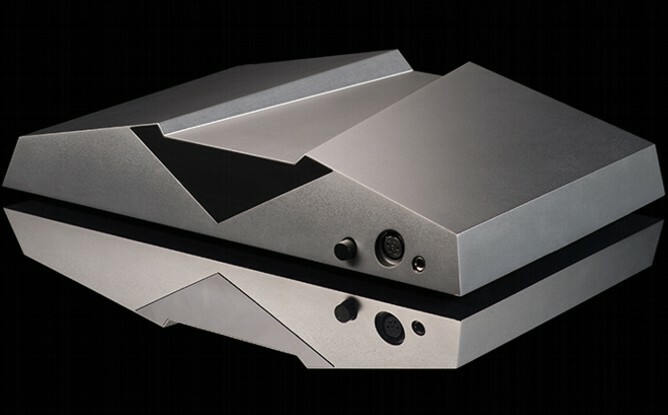 Vi DAC's solid-state analog stage is both musical and controlled at the same time. We've also designed an optional tube output buffer for those aficionados who love the warm and liquid sound of tubes. Preţ Audio Alchemy: 3100 €!! !